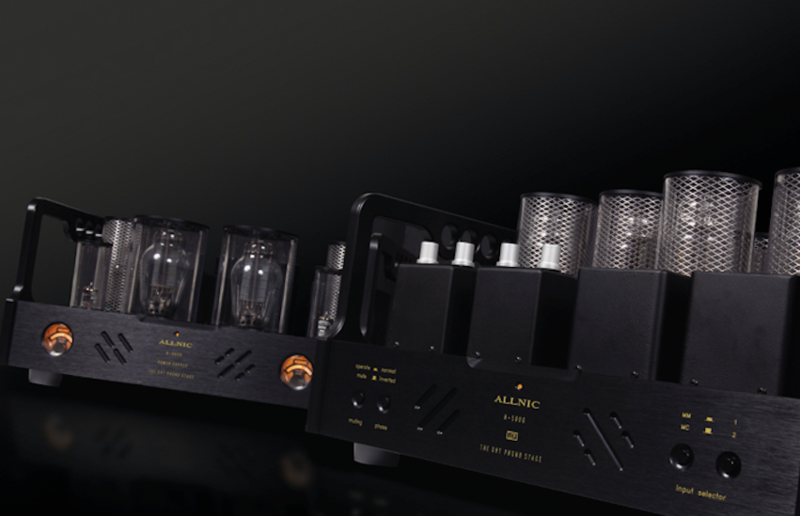 The H-7000V, Allnic’s wildly popular transformer coupled LCR phono stage, is an upgraded version of the H-3000, the phono stage that won the hearts of hundreds of audiophiles worldwide. 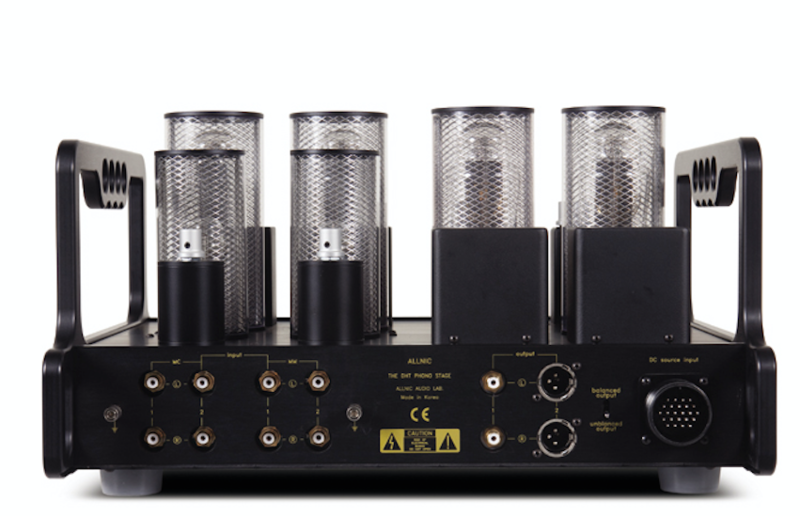 The H-7000V differs from the H-7000 in that the H-7000V incorporates LCR Multi-curve Equalization. 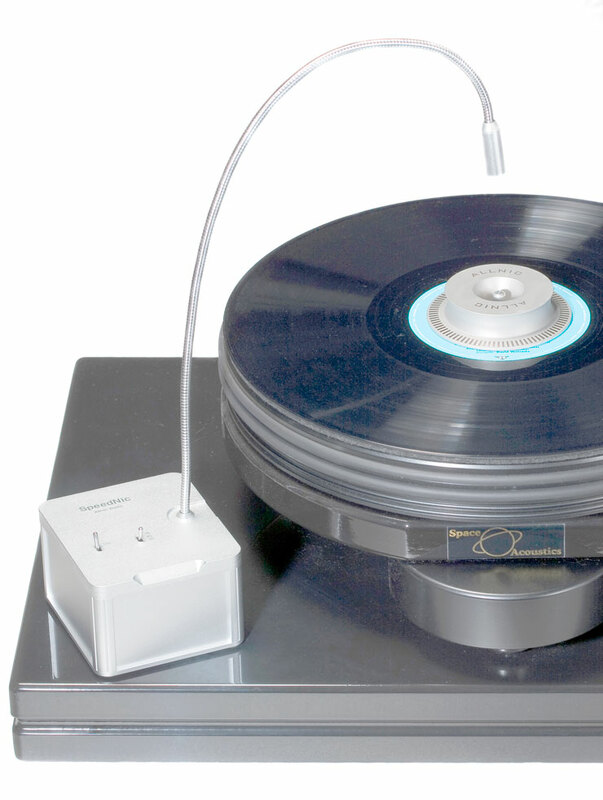 With the H-7000V, you can play any LP issued before RIAA standardization at its correct equalization level! The H-7000V’s beefy, masculine new chassis, with its optional rack handles and rocker ended sides, takes the H-3000’s already pleasing appearance to the status of cult object. The cosmetic differences are not the only changes. Mr. KS Park’s upgrades include the addition of refined output transformers, and additional magic to the multi gain step up transformers. 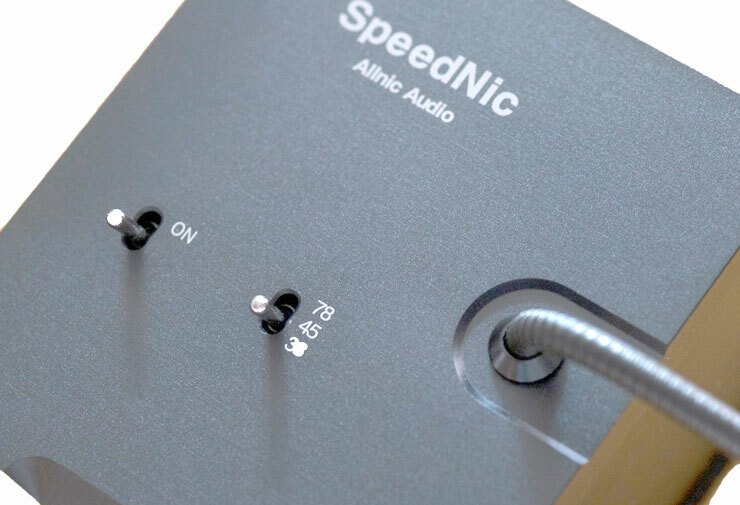 These result in an ultra-high-performing, low noise, dynamic analog phono stage. The H-7000V also incorporates options exclusive to this new model. Two variations of the H-7000V are available. One has the traditional dual MC inputs with 4 level MC step up transformer boosted signals and a top gain of 74dB; the other one also has dual MC inputs, but one is for use with the 4 level MC step-up transformer, while the other is for use with a built-in CR (capacitor, resistor) circuit, electronic step-up. Sales of these units reflect a North American preference for the dual MC input using a 4 stage step-up transformer system, due to its higher gain and enhanced dynamics, while in other parts of the world some appear to appreciate the option with both transformer and electronic step-up. This really amounts to preferred taste in music and playback conditions. The H-7000V in the flesh is stunningly beautiful, with a beefy CNC milled aluminum main chassis and weighing in at 45 pounds. The hard to forget H-7000V features large power and permalloy nickel signal path transformers, multiple inputs (2 MM and 2 MC), NOS Mullard E810F gain tubes, and a power supply robust enough to satisfy all tube rollers’ frenzied shootouts and Saturday night trials. Excellent feedback on vintage rectifiers tried and liked are the RCA 5U4G, GEC U52, and the Mullard family of CV378 (both bottle shapes), CV37, and 5AR4. A big all-time favourite is the WE422A. Available for the same price in either anodized black or natural aluminum. 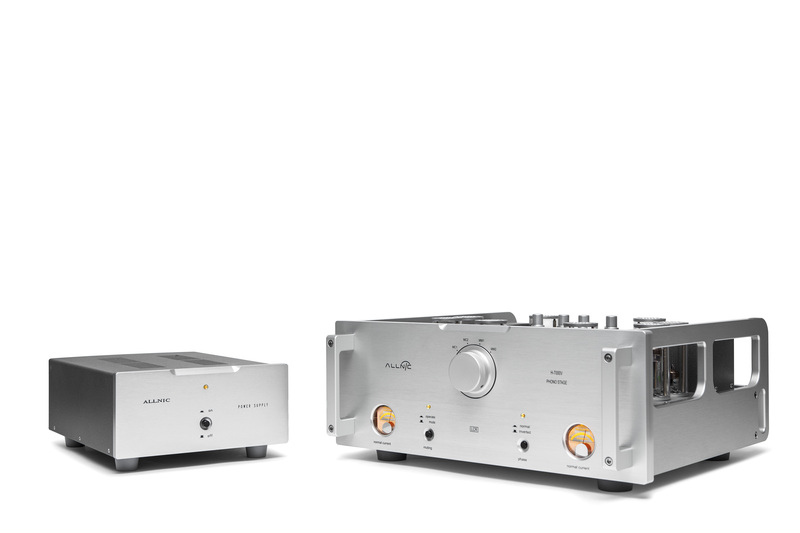 A world class and coveted phono stage, the H-7000V is on its way to proving itself another Allnic Audio “FOREVER” product. World premier three input modes, upon request, fulfilling a long-time wish of vinyl lovers. 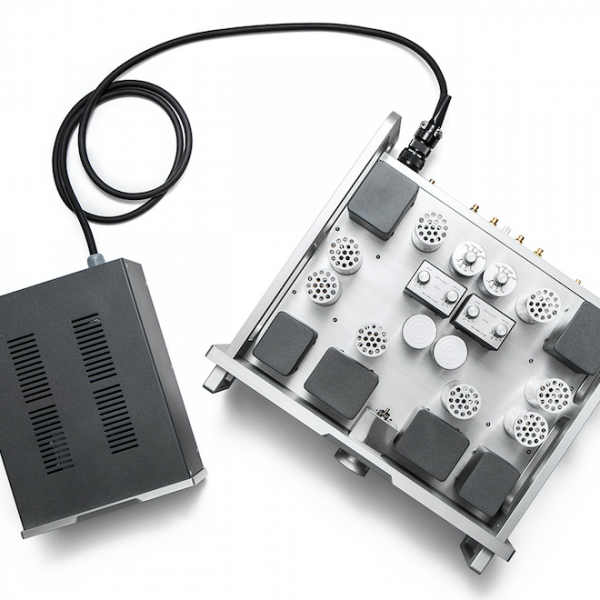 The H-7000V can include a head-amplifier (pre-pre or electronic step up) MC input, a traditional step-up transformer MC input, and a MM direct input (you can, of course, connect your favorite step ups also). Or, the H-7000V can be requested with dual transformer MC step up inputs plus one MM direct input. A variable resistance control for the MC inputs is included on the version with dual transformer step up MC inputs. LCR Multi-curve Equalization – This is also a world premier. 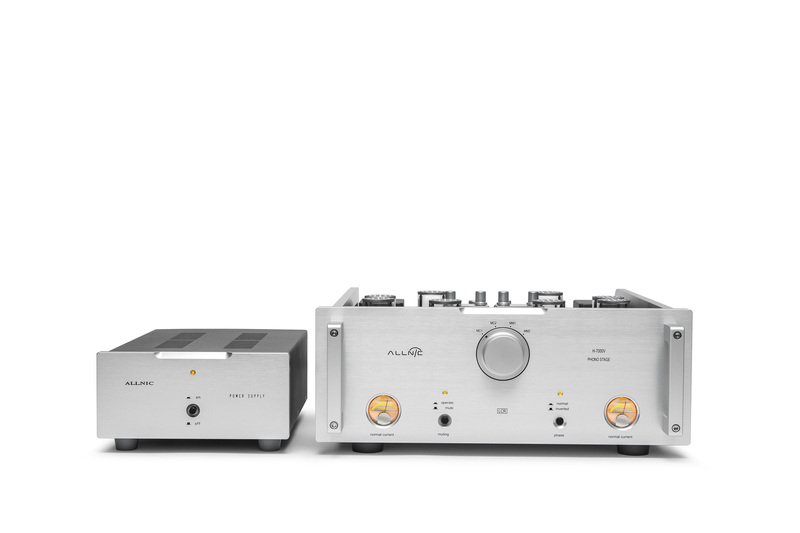 Allnic’s Multi-curve LCR unit has 4 turn-over points (250Hz, 400Hz, 500Hz RIAA, and 700Hz) and 4 Roll-off points (-16dB, -13.7dB RIAA, -11dB and -5dB). This means you can enjoy playing any LP issued before RIAA standardization.